Human resource is an invaluable asset in an organization and human resource management system is an invaluable aid for managing the asset. An HRMS comes as an integrated bundle of application with rich functionality helping the HR experts in overseeing the information about workforce and workflow. Human Resource professionals use these management frameworks to encourage their work process, enhance their proficiency and store and gather their vital data. There are many organizations around the globe, where they do offer a human resource information system or human resource management system to their workers. And the most interesting part is that these HRIS or HRMS bundles can be tweaked or customized according to the particular needs and prerequisites of the business. Every organization comes with different workflow and employee pattern. It is much essential that the company possess a self-reliant, independent and moreover a robust management application that can be customized and can run in accordance with the company’s aspirations. Also benefitting the business in fulfillment of their envisioned objectives. However one needs to understand the major components of the Human Resource Management System and what makes them different from other management applications. Human Resource Management system’s central offering incorporates a database where the business can seamlessly store the employee data. HR experts can enter all workforce information into the framework which can be accessed from anyplace, any time. Kinds of information that HR experts gather in the database incorporate pay history, contact data in case of crisis, and performance survey. The central database can likewise be seen as an online reinforcement for paper records. 2. Time and Labor Management. Exercises like time and work management can profoundly be tedious for the business organization and their management team. An application like human resource management system enables employees to enter their very own hours worked and enables HR experts to promptly confirm their vacation demands, and later utilize this data specifically for calculating the employee payroll and other company finance. Time and work management likewise enhances the HR division's capacity to follow reliability and participation of the employees, in others the employee engagement in an organization. 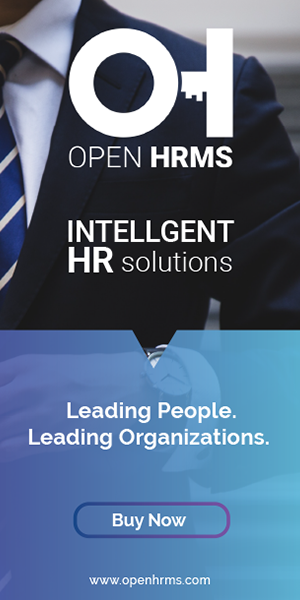 For your understanding, I hereby explain the time and labor management function offered by Open HRMS software- the complete and most advanced human resource management system that leverages the open source technology. The Open HRMS timesheet offers seamless management of time and labor. Here the HR experts can easily track the total hours spent by a worker in the completion of a particular task or subtask assigned to him, also monitor the work progress in percentage if the task is ongoing. It also shares on ththe e extra time the employee demands in completing his assigned task. The HR experts can utilize these timesheet based records for monitoring the employee engagement, further calculating the employee payroll and also processing of employee requests like leave or vacations. There are many companies that look for timesheet based payroll, for them, Open HRMS can be a good choice. Payroll is the most significant component of a human resource information system. HR can without much of a stretch download or upload worker hours, and issue checks or finance stores to representatives. Salaried representatives can likewise be paid with the considerably decreased danger of mistakes. The human resource management system, for the most part, enhance tax compliance for areas with different tax levels. Open HRMS Payroll encompasses all that intuitive features any business throng for. Right from the structuring of employee contract, the creation of salary rule and salary structure, integrating of timesheet for timesheet based payroll and generating of Payslip batches, Open HRMS payroll management system has all that features for efficient calculation of employee payroll. One can seamlessly enter all pertinent data regarding the aforesaid and derive intuitive reports on the same with any mistake. Some human resource management system enables business management in setting up and keeping up health advantages like medical benefits and retirement investments. Such applications enable the workforce to have one-stop shopping background for all their HR information and their managing needs. Different HRIS bundles encourage health advantages and retirement venture derivations for payroll however not the foundation of those advantages. Most human resource management system offers employees with user access to the limited or expanded scale. They are offered with a piece of the database where they can refresh their own data, audit their pay scales, change retirement advantage programs, refresh direct store data or download advantage race records. The extensiveness of the application interface keeps differing from product to product. For example, let us take the example of the Open HRMS Dashboard. Here you get an interface where you are facilitated with the perfect filtering option for picking the most relevant info from chunks of data. Secondly, you can make the smartest decision from derived data and thereby predict the future. Open HRMS dashboard metrics are intuitive enough that it helps the HR experts in predicting the future based on past actions. And most importantly, it offers an all-inclusive deep report on employee leave, employee personal info, Payslip, running contracts, timesheets and more. Moreover, it also displays the current user’s identity like name, job position, joining details and more. Open HRMS dashboard helps the HR professionals to have a look at the leave requests processed by the workforce and job application processed by the candidates in different time zones. Unlike the traditional email inbox, where often HR experts get cluttered with numerous requests, here the Open HRMS dashboard platform gets everything streamlined. One can easily avail the details over the number of leave requests or job applications that forwarded from the public and employee side. The chance of missing the requests is ruled out here. Also, the Open HRMS Dashboard gets you the details of employees working in varied departments and how many are reported to work. The graphs, pie chart and more illustrations enhance quick review and understanding of the information. To trigger a friendly work culture at your workplace, one can apply a simple formula i.e. encourage your workforce, make them feel that they are special and valued. Open HRMS dashboard makes sure that you do attain it. It projects the upcoming birthdays of your employees so that, you can plan some surprises for the employee. At last, it tends to be said that enrollment and maintenance are the most critical component of human resource information system. It's a given that it is the grapple of all HR strategies and frameworks. Finding new ability, obtaining them, keeping them drew, in lastly having the capacity to hold them are the significant undertaking of a HR individual. HRs likewise need to guarantee that representatives are ready to do their work, in case no provide them with onboard training.